It’s important that all your gear makes it into their appropriate bags so that your stuff stays together during the race. As the race starts in Welland, this bag will meet you at the race’s finish line in Niagara Falls. This bag contains all your dry clothes that you’ll want after your race, and it’ll be waiting for you in T2 for when you’re finished. If you are taking the shuttle bus from Niagara Falls on race morning, you may leave your Clear Bag and Red Bag with staff at the shuttle OR you may drop these bags off at T1 in Welland. Athletes will place this empty bag by their bike in Transition #1 prior to the start of the race. After the swim place your wetsuit, goggles and cap in this bag and leave it by your bike. This bag will be collected and brought to the Finish by our crew. We cannot be responsible for your wetsuit if it is not placed in the Wetsuit Bag. 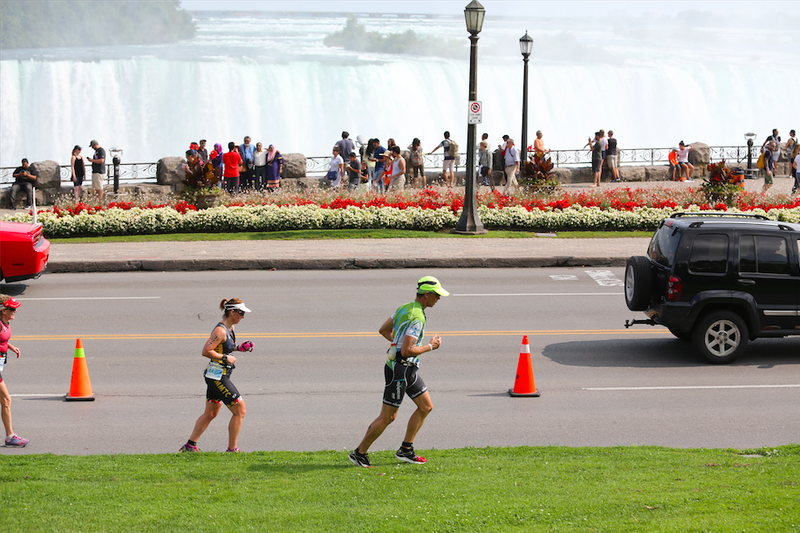 After finishing the bike, athletes will rack their bikes in Niagara Falls by your assigned rack space where you will also find your bike to run bag . This bag contains all of your run gear, so be sure to include your race belt, any additional nutrition you want for the run that we won’t provide on course (salt tabs, etc.). You’ll also want to consider a hat, as it can get hot on race day! You will change into your run gear in T2 and then place your bike equipment into the same bag and leave it by your race space. These bags are claimed after the race when transition opens. You can find all the info you need in the Athlete Guide. We will continue to post detailed race instructions leading up to the race, and we look forward to seeing you on race day. Register here.